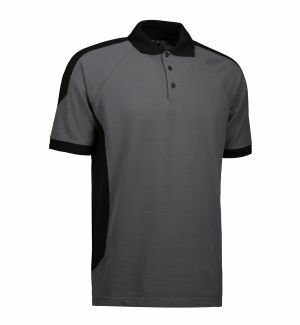 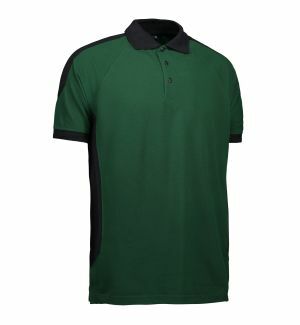 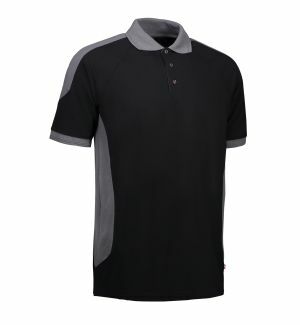 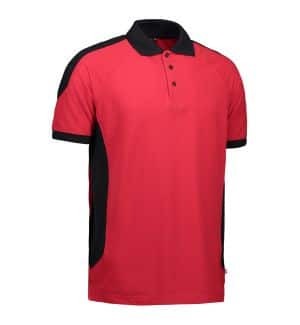 Extra durable two-coloured polo shirt. 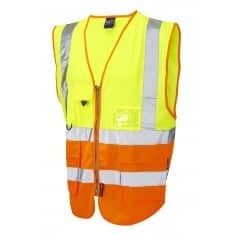 Neck and shoulder bands and halfmoon at neck. 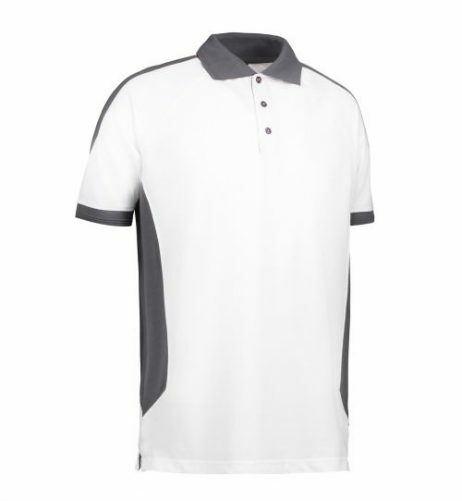 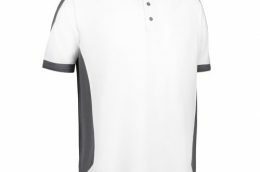 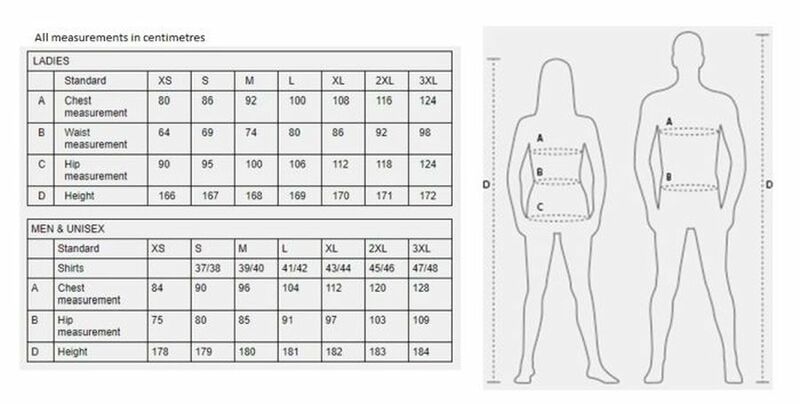 The polo shirt has been pre-shrunk at very high temperatures, both before and after dyeing, for extra stability and long life.